Call Now for the 2019 Spring Special! Testimonials: We Love to Hear From You! Rob was very quick to give us an estimate and get the job scheduled. We felt the price quoted was very competitive. The painters, Doug and Alejandro, were wonderful. They were precise with the painting and absolutely meticulous with the area. We were on a short timeline and they got the entire project completed to our specification on time! We are ready to start Phase 2 of repainting the house and would not have anyone else handle it. You will be extremely happy with the experience. Job: brick row house exterior and trim. This was my second job from STB. Douglas and his crew did an amazing job. High quality and professional. No issues. The team did a great job on my new condo. They were able to do the entire job in one day and accommodate my travel schedule. They were professional and courteous and left the place clean. The walls look great. I will definitely use them again. I recently had STB paint my townhouse in Laurel, MD. They were very professional, on time, and truly did a 5-star job! Communication was excellent between all parties involved. Rob's crew were a pleasure to work with and I would highly recommend this company. Rob assisted with the paint color to go with and I'm happy I followed his suggestion. My townhouse looks brand new! The team was professional. We had a cathedral ceiling replaced, as well as having them scrape off the popcorn ceiling in our staircase and down the upstairs hall, and paint the ceilings and walls. Their work was excellent, and they cleaned up each day before they left. They came on time every day they worked on our house. I highly recommend them. Rob and team did a great job painting many rooms of my house. He was professional and quick in responding. All you do is set up a time to paint, go and pick out the colors at Sherwin Williams, and send to him. His crew arrives on time (8 am) and they clean up any mess they make. No bad words to say! Might be my nature, but it is always good to confirm what exactly will be painted so there are no issues afterward - just be very specific with each wall or ceiling. I went thru the different rooms and wrote the name of the color and the code on a piece of paper. Had a full basement walls, ceilings, trim, and door job just recently completed by these guys. They were extremely professional. From the estimating all the way until they walked out the door they were excellent. Everything was completed exactly as agreed. I would recommend them for any job. We needed the interior of our entire home painted so we hesitantly looked around for a company. The last time we had a different company (who I won’t put on blast) do our painting and it was horrible. So we were definitely wary about who we chose. Somehow we stumbled across STB and noticed how many great reviews they had. We got in contact with them and a man named Rob came out to our place to give us a quote and he was amazing! He was completely professional and informative which made us feel at ease about this purchase. The price was fantastic for the service we got. I definitely recommend this team for your paint job needs! The team at STB are truly professionals! We worked with them to paint the full interior of our home and they made the process extremely easy. The team showed up early everyday and worked timely. I would highly recommend STB to anyone looking for quality customer service with a professional and friendly staff. Thanks STB! I had a great experience with STB Painting. Robert was very professional and I appreciated that he gave me a quote for the job at the time of his visit rather than having to wait a couple days to get it by e-mail. Two weeks after he gave me the quote, his crew came out and did a fantastic job. They were very careful moving and covering all my stuff, they cleaned up very thoroughly, and the results were good. I would do business with Robert and STB again. The STB crew was very timely, polite, clean, and did a great job on both drywall and painting. Exceeded all expectations. We hired STB Painting Company to build large custom shelving in our family room and he did an incredible job and finished ahead of schedule. He executed our vision perfectly. From start to finish, He was timely, very professional, and communicative. We got quotes from several competitors and their price was extremely competitive. I would highly recommend calling him before hiring anyone else. Rob from STB was very responsive, gave a competitive quote, and arranged for the job to be done quickly. The painting crew was very professional and did an excellent job - the work looks great, and they were careful to ensure that we were satisfied with the work. This is my second time using STB Painting, and we'll definitely come back to them in the future. Robert was extremely helpful with working to resolve my insurance company's underestimate of painting and drywall and his workers did a superb and efficient job. We especially love our new blue blood color in the living room and we were happy Robert allowed us to pick any color we wanted. Thank you for the great job. A pleasure to work with! I had Rob's crew paint my first floor, kitchen cabinets, and bathroom vanities. Everything looks amazing! They were on time, communicative, and efficient...finished ahead of schedule. A great group of guys. I wouldn't hesitate to hire them again...in fact, after seeing how good the lower level of my house looks I'm already thinking about when I can bring them back to do the second. The team was quick, professional and did a great job. I wouldn't hesitate to use them again. Also, they were able to get the job done in 1 day despite another company insisting it would take 2. Hired STB painting to paint the majority of the inside of my home. Rob came out gave us an estimate and pricing was right along other quotes we received. There was a slight mis communication of what we thought and expected to be done then what was actually written down on contract. However, STB came through and went above and beyond. They made sure we were completely happy before they left the premises. Marco was absolutely wonderful to work with and made sure that everything we expected to be painted was painted. Not sure of the name of the person who painted all the trim work but he was fabulous. No pain splatters on the floor at all. I also had countertops done and STB referred me to an absolutely wonderful person named Carlos. He spent several hours with us looking for countertops taking us to various places until we found just the right countertop. Carlos was extremely friendly and very professional. I would say if you need painting done do not hesitate to contact STB. Extremely happy with their work! I reached out to them and they came out right away to give a quote and painting was finished 3 days later. The quote was fair, they were right on time both days, their work is excellent. I am VERY picky with painters and I couldn’t find a single drip, missed spot, anything! We used them for a spare room (including inside of two very narrow closets), and our upstairs and downstairs hallways, including the stairwell. Very thorough, fast, fair, and great work. Will definitely use them in the future! He is a great guy and someone you can trust to do a great job! Robert quoted a very competitive price. The five-person crew applied two coats to our trim, ceilings and walls in the family room, kitchen, and the upstairs and downstairs hallways. I was very surprised that they did all this in one day. The results were top notch. STB did exceptional work! I don't often rave about contractors but STB is an exception. Rob came to my house quickly, provided an estimate on the spot to paint the exterior of my house and came in just above the average of my 3 bids. Impressed with his efficiency, thoroughness and the on-line examples of his work, I signed a contract with him 2 days later. The crew of 3 finished within 2 days and really paid attention to detail. The crew were all very respectful of the property, they cleaned the entire area and went beyond expectations. Highly recommend them for painting!! I just had my living room and hallway painted by this company,I have vaulted ceilings and there was wallpaper that needed to be removed and the walls were a dark red and I wanted them painted a pale gray, they said it might take a day and a half, they showed up at 8 and were finished by 4 my living room has never looked so beautiful the crew was polite,cleaned up everything I could not be more pleased with the work they did and will use them again and highly recommend them. Thank you so so much. I have hired a few painters over the past few years, and I can honestly say STB Painting is by far the best. They are experienced, have a great attention to detail, cleaned up after themselves, and I didn't have to ask them come back for any touch-up. They did a fantastic job. Without hesitation, I would hire them again and will gladly recommend STB Painting. Rob was prompt with his estimate and was helpful describing the various options to me. His crew was good, courteous, and accommodating. His price was also on the lower end. I had the front brickwork of my row house painted, as well as the outside portion of 3 door frames. I am very happy with the results. All good stuff. Rob from STB scheduled an ASAP walkthrough to look at the interior of the house. He estimated (correctly) that the job could be done in two days, which meant we had time to do it before we moved into the house. He also told us he could color match and replace the Benjamin Moore paint we wanted with Sherwin-Williams to save us some money, and the colors came out perfectly. His crew was prompt and professional. Rob communicated with us consistently throughout the project, and the final cost was exactly what he estimated at the walkthrough - no hidden charges or markups. I would highly recommend them to anyone who needs paint work. STB was great to work with. Rob pointed out several things that I did not recognize regarding some wood trim deterioration. The coordinator Jorge made a point of communicating to reschedule when the weather required it. And the staff did a beautiful job with the power washing, wood repair, and painting. Our townhouse is 3 level and so very high up, and some service providers would not touch the job. But I highly recommend STB for a job well done! I had a great experience using STB painting. The team that painted my house was very respectful and did a great job covering dark paint with light paint and covering up nail holes and other imperfections. I was impressed with the job they did. Good communication from all levels. Rob and his crew were very quick in responding to all of our needs and did a great job in painting several rooms in our condo!!! If you’re thinking about hiring them...DO IT!!! They’re stellar! Rob's crew including Douglas were very professional and did a great job. STB Painting power washed & painted the outside of our house. The crew listened to my concerns and they were kind to my plants. The job was professionally done and the house looks great! Highly recommended! Just had STB repair some drywall and trim for my skylight as well as outdoor wood soffit and trim replacement in 2 areas. They did an amazing job and matched the architectural details with precision. The team of guys were extremely professional and pleasant and checked in with me throughout the project to ensure that I was pleased. Would definitely hire again!!! Excellent crew. Robert took the time to clearly understand what we wanted and quoted a reasonable cost. His crew showed up, exactly on time, and worked the job in the time they said they would. On-site, the crew was courteous, communicative, accommodating, and displayed excellent workmanship. The STB team did a great job on our house for a fair price. It was a big job, they finished on time, and were very attentive to our questions and made sure that we were happy with everything. The team that came to the house was polite, very professional, cleaned everything up at the end of each day. I will definitely use them for our next painting job. Excellent and clearly defined estimate that I understood. Highly professional painters took it from tarps down on the floor, moving heavy furniture, fixing holes in the wall and replacing baseboard to a beautiful finished result. I could not be more pleased. If you need painting, these are your guys. The crew from STB were great - communicative, polite, clean and they got the job done like they said they would - in 3 days. During the process we changed our minds about something and they didn't once make us feel like it was a hassle. We'd definitely hire them again. Rob and his crew did a good job painting my living room and kitchen, and they finished the job in record time. STB Painting Company was friendly, efficient and very tidy. I would use them again in the future. Great work by the STB crew, very efficient and professional. Quality work at a reasonable price will get your home looking like new. Excellent job painting our basement rec area and bathroom. They were very professional, neat and arrived on-time. STB Painting Co did a wonderful job on our home. Rob was very friendly and responsive. The crew painted the entire interior and our rooftop deck. They worked hard and stayed on schedule. I would recommend STB. I recently had the opportunity to use Rob and STB painting to paint my entire condo and I am very pleased with the results. The painters Douglas, Sebastian and Christian did a great job and were finished in 2 days. They even assisted me by arriving to my place a little earlier than usual the first day because I had an important meeting at work, and I really appreciated that. In addition to painting my place they removed and replaced a previously broken piece of floor molding for free which I really appreciate! After the painters left I noticed an area that I wanted retouched and Douglas was able to come out the next day and retouched the area with no issues. I've already recommended them to one of my friends who is looking to get some of their home re-painted. Would definitely use them again. What a pleasure to do business with Rob, Jorge, Carlos and the whole STB team. From the first meeting, to estimating, to final walk through everyone was upbeat, polite and professional. You won't be sorry to give STB your next paint job! Rob, Marco and Jorge are all very professional and quick to respond. They have painted interiors and exteriors of our house, including a screened in porch which they totally re-screened! The results are fabulous. Thank you, Rob! Highly recommend. Another great job by Doug's Team at STB!!! I highly recommend. Rob was by far the most detailed, thorough, & professional of the three contractors providing estimates for the pressure-washing, prep, and staining of my tri-level deck/rooftop in Federal Hill. I chose STB because of Rob's attitude and STB's Yelp & Google reviews. Douglas and crew did not disappoint. Courteous, skilled and efficient, they were a pleasure to work with. Go ahead and get your estimates, but choose STB. You will not be disappointed. The guys at STB did a phenomenal job sanding and painting the walls at my townhouse. The job was completed on schedule. The sanding was thorough and the priming/painting was clean and seamless. A job well done!! Water damage destroyed my flooring. Mitigation destroyed my walls due to water damage. STB was not only the best quote but my home looks brand new. The crew was AMAZING. I highly recommend STB. I’ll have them back for the rest of my house, for sure. STB does excellent work and at a reasonable price. They pay attention to detail and make sure that the customer is satisfied with the work. We are using STB on another project and am sure that our relationship will continue. I highly recommend STB. On time, professional, and amazing work! We've used STB to paint our house and cabinets. Very happy with both results and will use again for future projects! This is the second time I've used STB, and I will continue to use them for all of my painting needs. They are quick, they are thorough, and they do a perfect job. This time they completed both indoor and outdoor jobs and both look amazing. They are quick to respond, get on the schedule, they are accommodating, and very reliable. Thanks STB! The crew was very professional and quick. They were respectful with us having two young children in the house while they painted. We were incredibly pleased and will use them going forward! Highly recommend. I appreciated Rob's no BS (my words) quote. The painters were friendly, on-time, and attentive. Honestly, they noticed workmanship flaws that I missed in our walkthrough. From setup to cleanup I was impressed and so was my neighbor who stopped by periodically to see the progress. I should also mention that I work from home and not one single time was I interrupted by the workers. We recently had the opportunity to use Rob and STB Painting to paint the entire interior of our house. Rob gave us a very fair estimate within a couple of days of our phone call. Douglas and Lemmon did a fabulous job in repairing and painting the walls as well as the ceilings with care, attention to detail, and little mess. We were impressed by their attention to detail and their wanting to please us with their work. We also need some exterior work done and we will definitely call STB in the near future. Would highly recommend STB for any paint job. We used another company for parts of our home, so have a good comparison. STB was vastly superior in terms of service, responsiveness, attention to detail, and thoroughness. They did an amazing and efficient job and were very professional. We plan to have our basement and exterior repainted and will absolutely use them again when the time comes. Five stars all around! Rob and his crew provided me a quote and completed the job in the time it took a competitor to even send me an estimate. The crew did an excellent job and were super professional and courteous. This company doesn't just say they want a good customer experience, they make sure of it. Initially, there was a problem with the paint color and I was convinced from bad experiences with other contractors that I was going to be out of luck. The crew worked diligently to get everything corrected and the end result is perfect. Thank you guys for all your hard work! Great job inside... and out! We were so pleased with the work Rob, Marco, and the team did on the interior of our row home last fall, that we are having them return to do the exterior this spring. Rob was quick and thorough with the estimate and there were no surprises. Marco led his team through prepping and painting the entire 3 floors of our home in 2 days. The guys were as friendly and respectful as they were tidy and clean. Very professional and a great price too. Highly recommended. These guys were amazing. Robert always responded immediately. The crew did great work painting the ceiling, walls, and trim of my rowhome. They took care of holes, uneven drywall, caulked and even came back to touch up a few nit-picky things I asked if they could take care of. Great job, very professional and work was completed in a shorter amount of time than I expected. Robert was at my house giving me an estimate the same afternoon (Thursday) I asked yelp to find me a house painter (4 companies contacted me, so I'm happy with that yelp service) and today they did the exterior painting at my house. Excellent, quick service. Great work, fast, clean, great price! So happy I chose STB for my painting project. Rob was very informative during the estimate process. Prices were more than fair and competitive. Marco and the crew did a great job, were respectful, and very congenial while they were at the house painting. And Jorge followed up to make sure everything was done to my liking. I am more than pleased with STB and would definitely recommend them to friends and anyone looking for professional painters. Thank you STB painting company! Jorge and crew, great paint job. We are very satisfied overall. Excellent attention to detail with woodwork/window trim and painting. Will recommend STB to all my friends and family. Very professional and reasonably priced. Rob, thanks for the quick response with estimate and scheduling. STB will be the go-to for all other painting services for us moving forward. Super super pleased with the paint job done in our new house! Definitely will be a repeat customer for our paint project! Thank you!!! My husband and I chose STB Painting based on their high Google reviews....and they were accurate! Working with Rob and his team was a pleasure. Rob scheduled an appointment for an estimate the same day I contacted him, and we had an appointment for the actual paint job within the week. His crew was incredibly prompt, polite, and did a spectacular job painting. Our job included a two story foyer, multiple closets, and quite a bit of patch work on the walls and STB Painting had it done in a day. On top of that, the crew was incredibly respectful (they took of their shoes inside and even rehung our curtains for us!) and after they cleaned up you would have never known they were there. The cost of job was also very reasonable, and hiring Rob and his team saved us tons of time trying to paint ourselves. I would definitely recommend STB painting and will contact them in the future should we ever need more interior painting help! Got the job done asap, as I needed, and looked great when completed. Fair pricing as well. Good guys. Fast, reliable and they did good work. Had some drywall framing and painting along with some patchwork. They were reasonable in price and finished on time. Rob was very helpful and easy to work with throughout our job. He met us on short-notice before a holiday weekend and gave us a quote on the spot. We were fortunate he could start work the following week. The paint job looks amazing! Walls, trim, doors - all look great! Price was in-line with competitors quotes as well. This is the second time I'm giving these guys a 5 star review as this is the second time I've had them out to our house and again they did a great job. They did 2 bedrooms. One nice thing was that after the first day they completely cleaned up the place, rather than leaving it all out and cluttering up the joint. Nice touch. When they finished there was one small coat rack that they hadn't painted as they thought it was supposed to remain its previous color. I pointed this out to them and a few minutes later it was done. No problem. Great bunch of folks that really do a nice job. We will be calling them back for a third time after we do our kitchen AND I'm going to have them do my mom's house. Working with STB was great. We had requested work from a previous company who was unable to complete the job. Rob and his team stepped right in - repairing a ton of drywall and painting everything. They fit us on their schedule the day after contacting them. Then, our whole house got sick - I had to cancel on his team last minute. They were so flexible, I was so grateful. They rescheduled us right away with no additional charges (amazing!). When the whole team finally came, it took 3 days to complete the job (as discussed). They somehow matched the paint perfectly (we just bought the house and didn't know the exact color) and cleaned up after themselves every day they were here (a huge help with a toddler running around). Definitely recommend working with Rob and his team. This review comes late. In September Rob and his crew pulled me out of a jam. I was trying to prepare a rental property and had the wild idea of painting myself while working full time (bad idea). STB delivered a quality paint job on time. I will use them again. I really like the fact that there was no up front payment due. Payment is due when the the job is done. STB made our life a breeze. They were able to schedule us two days after our consultation which was fantastic because we wanted the work done before we moved into our new house. We got our master bedroom painted. Not only did they paint and get it done before I came home from work the same day but they cleaned up our walls making them look clean and smooth as well. Very friendly workers and very fast work. I would hire them again in a heartbeat. Robert G.
Found STB via Google then Yelp. After looking at the reviews and my housework was done I gave them a call. After leaving my contact info, Rob (the owner) called me back within the hour and was very helpful and polite. He was able to come out the next day to provide an estimate and then he actually had an opening for the following week! The price was very good and Rob also made it a point to explain the process before his painters came out. Said painters were at my place on time and very helpful, they even did a quick repair on my storm door (which decided to fall off when they got there) without any prompting which impressed me. I was told the paint job for my interior (close to 1800 sq ft) would take 2 1/2 days), the only thing they weren't painting was the interior of my closets. They were actually there an extra 1/2 day longer they they expected but it's fine with me, they repaired all the holes on my walls from the previous owner and the paint job was to perfection! I can't recommend Rob and his team enough, not only did they do a great job but that and their great customer service is a wonderful combo. I highly recommend this company. STB painted my basement, including all the trim, and completed drywall work as well. The finished product is FANTASTIC! The project manager was great to work with and was very responsive. The team also completed the job in less time than was estimated. Overall very satisfied and will no doubt use them again in the future. We can't say enough about Rob and the whole STB team. They were able to schedule an estimate on short notice and made sure we were happy throughout the process. Our house is an end unit row house in DC that had several layers of old paint; being unfamiliar with some of the specifics of exterior painting and having a lot of space to cover, we were concerned about the end price and result. They walked us through the right paint types for each section of the house, answered all of our questions as we looked over things each night to make sure we were comfortable (a rarity), and even made some final (minor) changes at last minute when we changed our mind about a transom color. STB not only stuck to the initial price quote but the end result was beyond our expectations and has garnered rave reviews from family and neighbors. We highly recommend the entire team and would use them again any time we needed any paint work. If your seeking a professional , meticulous paint job with a caring touch..."Simply The Best" will exceed your expectations!! Marco and his team of associates beautified our 2 bedrooms and restored a damaged dining room ceiling with amazing results! We highly recommend STB as they responded to a job request in a timely manner, cleaned up thoroughly which included re-hanging window treatments, walk- thru inspection after job completed to ensure customer satisfaction, and fair market price among competitors. We had extremely ugly dark green walls and red crown moulding in our formal living room (why?!) and flower wall paper with the same red moulding in our dining room. STB came and removed it all and painted it a nice neutral color with white moulding. It looks so good now! They were quick and cleaned up after themselves. They were even able to color match to the color in another more expensive paint brand that I wanted. We had painters in our house twice previously, but STB did a much better. No streaks on the walls or anything. We will definitely be having them come paint our upstairs in a couple months. Found them on Yelp...called them and they called me right back. Great service from beginning to end! Would definitely recommend! As a carpenter and builder for many years, I would recommend STB to anyone needing exterior home repair. The workers were very conscientious in making sure everything that was repaired was done with the utmost professionalism. The workers were also extremely customer oriented in making sure the repairs were completed to our fullest satisfaction. Quick, courteous, and reasonably priced. Another satisfied customer! These guys were fantastic! I am so proud of the way the exterior paint on my house turned out thanks to Rob, Marco and the gang. STB was great to work with. They painted the exterior of my Balt City rowhome and one small bedroom. They were super professional, helpful, easy to communicate with, and were able to fit me in their schedule very soon after my consultation with Rob. Their prices were also totally reasonable (especially because I had another local company try to charge me more than double what Rob had quoted me for the exact same job). The painting crew were awesome and I felt very safe leaving them at my house and running a few errands. They accommodated several last minute changes I requested... and the outside of my house looks beautiful! Will recommend these guys to anyone in need of a painter. STB repainted all our kitchen cabinets and facings. They did a terrific job -- neat, organized and patient to make sure they got everything. Their plan to put on both primer and paint in one day was slightly optimistic, given we have a lot of cabinets, and they had to come back for a couple of hours the second day, but they arrived just when they said they would, kept the job-site clean and neat and were a pleasure to work with. They also exhibited a good eye for detail -- they took it upon themselves to give a touch up coat to our pass-through between the kitchen and dining room, just to be sure everything matched. We are very pleased to give them our highest rating and would not hesitate to call upon them again -- STB was first rate! Rob and crew did an amazing job. They were able to accommodate my short suspense and do an outstanding job. STB came out and gave me an estimate at my new house in Vienna on short notice. It is a four-level, 3400 sqft townhouse and we needed all the walls painted, including a few accent walls. I believe they are located in Maryland, which made it commendable that the painting crew showed up 5 minutes ahead of schedule on a Monday morning in Tysons Corner. They painted all day on Monday, did the same thing on Tuesday morning and finished the job by about 4pm. They had originally been scheduled to take half of Wednesday but they finished early. They were very efficient, courteous, and the painting was done with care and looks beautiful. The team also had a good dynamic. I could hear them upstairs joking around and having fun while they did their work. They also had to accommodate a sudden washer and dryer move in right in the middle of painting the hallway where the washer/dryer needed to be placed, and they were nice and moved their supplies and covers out of the way. I highly recommend this company for any kind of interior paint work. I really was surprised at how great a job they did and at what I consider to be a reasonable price. Thanks STB! I had a great experience working with Rob and Jorje having my ceiling refinished. we recently bought a new home with Stippled ceilings throughout and we refused to do any other work until this was finished. I talked to at least 6 companies in my search but never had anyone as responsive and friendly as Rob contact me back. I always received information from him within an hour of my initiating contact and when he proposed an option, he did not take time to send me an email with the numbers, he stood at the kitchen table and laid it all out right there. I appreciate a company that can be upfront in their transactions. The quality of work was top notch and we completely full steam ahead with the rest of our renovations now that we have had such beautiful work completed. We will be using STB again in the future. They were amazing! Quick, efficient and excellent. Every surface was covered with drop clothes; the lines are perfect and the house looks great! Rob and Mario were terrific. Very responsive, professional, friendly and great work. Their prices were reasonable compared with other companies I got quotes from, and they made me feel like I was a priority client even though it was a relatively small job. I would definitely use them again. We had a great experience with STB. They delivered everything they promised. Marco and his team showed up on time, were respectful and courteous, and did a fantastic job! Would definitely use them again. STB Painting Company is a professional, courteous and conscientious company to work with. Ever have a difficult time trying to find a contractor, and then worry that they will even show up for an estimate? Not with STB Painting. Rob is what we all want in a contractor. This past July 2017, his team came out to clean the exterior of our home and paint the foundation, doors and trim. The team were on-time, professional, and did a great job of finishing the contracted items on one of the hottest days we had this month. I would highly recommend Rob's team (and have) and will continue to work with him on future projects. Rob's prices are competitive and quality of service is the best. Woohoo! As good as it gets! Rob and his crew did an outstanding job from beginning to end. Their attention to detail was what we appreciated the most. The price was reasonable. We will be using them again. George and his crew were prompt, courteous, paid attention to detail and cleaned up after themselves. Great prep work-they patched over cracks and holes in my walls, taped off things like the thermostat, and sanded chips in the base trim. Very professional. I will definitely hire STB again! Awesome, awesome, awesome!! Very professional, very prompt! Would recommend to anyone! STB quickly scheduled us and did a great job on repairs, prepping, and painting the exterior of our house on 3 levels. The looks new again! Kudos to Rob, Marco, and the whole crew. Today was the 3rd time we have had STB Painting to our office this year as we have been updating the walls. The crew has been great and have done a wonderful job. Never any problems. They even came back for touch up and when patients have been in the office and I love the work they do. Marco and his crew are top notch!!! STB was the second company to give us a bid on our painting job. We went with Rob because he was entirely transparent in calculating the bid, which he did on the spot, because we liked him and had a good feeling about him and because the bid was lower than the other company's. Ours was a three-day job and the crew arrived promptly and worked efficiently every day. Day 1 had a slightly bumpy start because the crew was four people instead of three (to strip and remove wallpaper), so they wanted to paint rooms we hadn't gotten ready for them. After that, it was smooth sailing. Their work is entirely professional and beautifully done. We had two bedrooms, a bathroom, two hallways, a stairwell, and the kitchen/breakfast/family room painted, and it all looks great. We had some crossed wires on a couple of doors -- some we are replacing that they painted, anyway, and one that we wanted painted that they thought we didn't want them to paint. Small potatoes in the overall scheme of things. Along the way, we realized that we had meant to ask for a quote on painting the exterior of the front door and the trim surrounding it. Rob worked with me via text and photos, bought the paint to match what was there, and added that on for $200. Very accommodating! If we were to need painters in the future, I would certainly call Rob! I was recently prepping my duplex for sale, and the process to get it painted stands out as the easiest task on my to-do list. From the initial consultation to the finished product, everything was very transparent, easy, and fair. They even finished ahead of schedule by bringing a second team to the site. They painted my entire duplex in a day, and fixed a mess left behind by an earlier handyman on top of that! Would use them again if needed. I recently placed my duplex on the market and received an offer after the first showing. Thanks STB Painting Company! They were on time and finished the job earlier than expected! The crew at STB Painting did an excellent job painting my house. Much of the wood trim on my doors and windows had to be replaced before painting could begin. The workers devoted much time and detail to properly preparing my house for painting. No short cuts were taken with this important process. Next, all bare surfaces were painted with a primer coat. When the primer paint was dry, two coats of the finish paint were applied. The results were excellent. I am very satisfied with the job that STB Painting did for my home. If you are looking for a team of professionals to paint you home at a reasonable price you should give STB Painting a try. Fantastic job. Quick responses, friendly staff. The work they did looks great. I will definitely hire them in the future for other projects. I can't say enough about working with Rob and STB. It is by far the best experience with a team that we have had in years. They were professional, timely, and, most importantly, did excellent work. We added a few things on to the job as we went and they were happy to adjust to the changes. We will be using them for all future projects. It feels great to have people that we know we can trust . I called Rob last week for him to come over to give us an estimate painting over some stains on our dry wall (wet spots) and patching some dry wall. He is straight to business, no bull, straightforward in terms of what he can and can do, how he would do the project, and what his needs were to keep the cost where we wanted them. Gave us the estimate after our ~30min consultation and bid us farewell unless we wanted to hire him. Little did he know we called up a few other contractors out for the same work to compare costs. There was a contractor out there willing to do the job for less (roughly 20% less) but when asked how he would do the project, they obviously would be taking short cuts. I also found other local contractor (a rather popular one too) that literally charged me 2x more than Rob charged me. I texted Rob that we will go with his company and we set the date (today). Choosing out colors and what not was a cinch; just going to Sherwin Williams and texting him the color ID was all we had to do. As promised the door bell rang at 8am with his whole crew already at my front door piled high with supplies and ready to work. His crew were very polite and considerate of our things. Everything was wrapped up and covered that needed to be protected. My wife works from home (teleconferences included) and was not disturbed the whole time. The job was promised from 8am to 530pm. At 5pm things were finishing up and Douglas (the main painter) and I walked through all the work they did. Everything was great except for one small spot they missed. They immediately remedied the situation and apologized. After that, they cleaned up everything, even vacuumed, I gave them payment and they were on their way. Quality of work was excellent. No runny streaks or gobs of paint and no paint drippings on the floor either (they covered where they worked and covered where they walked through). These guys obviously took their time and have been doing this for awhile. 10/10 will recommend, will use again. My wife and I were very pleased with the job they did. The were professional, kept us informed, and did a really good job repainting a number of rooms, window sills, radiators, and baseboards. I would recommend them without reservation. We hired Simply the Best to paint and install drywall in several rooms of our home. It was a big job and they arrived promptly, worked exceptionally hard, and completed the work within a reasonable amount of time. The price was also very reasonable considering the scope of the job. The walls look great, the painting job and dry wall is truly superb. The trim looks very good, although there are a few spots where I would have liked them to put on another coat. But that's just me being picky since I know my home so well. They are not as neat as other painters that we've had, but there were no spills or accidents and this is messy work. All in all, i'd highly recommend STB! I just had the downstairs of my boyfriend's townhouse painted while he is away on a ski trip they came in promptly at 8am and worked quickly & expertly. They called me at work 1 hour before they were finished so I could come from D.C. to pay them and so they could show me around. It was beautiful! I would recommend them to anyone. I will use them again for the upstairs when the time comes. I can't say enough good things about this company. I had a good experience the first time, for an exterior paint job, so I contacted Robert again, this time for an interior paint job. He responded quickly and within a few text messages, we scheduled a time for an estimate. Robert came by, walked through the sections that needed work and gave me the quote. Straight to the point and could get me scheduled as soon as possible. On the work day, Robert's team showed up on time and in the end did a fantastic job on what was a challenging job. The work was great, the price was fair and the experience was great. I'll keep going to STB for my painting jobs! I recently hired STB to paint a few rooms in my home. I initially reached out for an estimate and was quickly responded to by Rob. We set up a date for him to come out and survey the areas and answer any questions I had. On the day the work was to be done Marco and his crew showed up early and began setting up. They did a fantastic job of covering furniture, baseboards and ensuring none of my things were damaged in the process. They took extra care to remove items such as window blinds and railings to cover every spot with paint. Afterwards they cleaned up everything and Marco explained any care that may be needed to spot clean. He also encouraged me to reach out if I had any issues. So glad that I settled on this company and I predict I'll be using them again in the future. I accidentally became a landlady a little over a year ago when our move to the Rockville was truncated by a job offer back in KS. What I quickly learned was that it's difficult to control the cost of repairs from such a distance. Despite hiring a property manager, I've grossly overpayed for many repairs. I also learned that unlike most Kansan businesses, service people here tended to charge even for a quote and that amount doesn't necessarily go towards the service. So finding STB was like a breath of fresh air after repeated rental related frustrations. Of the 5 or so companies I called (all with the highest Yelp ratings), STB was one of two who responded. Rob was upfront about his minimum job rate and worked with my situation. I texted him pictures of the ceiling repair I needed done (I had a plumbing issue that apparently necessitated cutting a hole in my dining room ceiling to diagnose). Rob confirmed that he could patch the hole, but that this was not a big enough job for his crew to typically take on. In these circumstances, he had a handyman, Chris, who is properly licensed to take care of things. Ultimately, using STB saved me $150 on this repair. What is surprising is that Rob actually followed up with me a few days later to make sure everything was well. This level of professionalism and service for such a reasonable rate is why I will continue to use STB. (God willing, I have replaced/fixed so many things at this property that really there shouldn't....No, no, no, shouldn't jinx myself). Chris also does plumbing and electrical work, so he could potentially be a great resource. I would say that the best part of having to do a repair on a repair, which incidentally cost me twice as much as the original repair, is that I discovered STB. Maybe if I had used them in the first place to fix the plumbing, I wouldn't have to do the drywall repair. Simply the best just painted the interior (walls & trim) of our 4 story townhouse. Very competitive quote. Great attention to detail and the crew stayed until 9:55pm cleaning and detailing every little thing that my picky self could find. All shades, hardware and light fixtures were put back properly. STB worked with my wife to test different colors, extra work for them, no extra charge. We were on a tight timeline with only 10 days from possession to move in and they got in and out in 3 days. STB prepped and painted several damaged walls and even restored a previously textured bathroom to a like new, smooth painted wall. This was a big job done well and on time. I am very satisfied with the work STB did painting most of the first floor in my house. Foremost, Robert was able to provide a competitive estimate quickly (one day after calling) and was very clear in answering our questions and assuring us the work would be done to a high standard. Once contracted his people arrived promptly and finished the work under schedule. They were very careful so that there was no paint spilling on our carpet or belongings. Towards the end I walked around with them asking for minor touch-ups and they were happy to address any concern we might have had to make sure we were completely satisfied with the work. We would recommend STB to a friend. Did not use this company, because my project was outside of their scope of work. That being said, the owner demonstrated great professionalism by being responsive to my question. He even provided an alternative for getting my project done. Overall, very satisfied with Rob and Marco and their team. Rob is very responsive and willing to come out quickly for estimates. From estimate to start of job was only a week and a half. The paint looks great, and Marco and his team were very professional. They cleaned up after themselves, and only left a few pieces of painters tape here and there. We had new doors installed and all of our trim repainted, and for the most part the lines on the trim look very good. Marco is also very attentive and willing to do the work to make his clients happy and ensure things are done right. They stuck to the schedule and completed everything on time. Prices were competitive and I would recommend to anyone looking to repaint their house. Found this company on Yelp and saw the positive reviews, so decided to give them a try. From the beginning and throughout, the entire experience has been pleasant and professionals. Rob provided me with options for the work I wanted completed and there was no heavy sales pitch. The price was reasonable and they started work quickly. The crews arrived on time every day! They were professional and "about their business". They kept me updated throughout and did a great job. I interacted mostly with Rob, Marco, and Guiliani, and I highly recommend STB. I expect to hire them again to next work on the interior of the home, and I hope I get the same guys again. Excellent and fast service. Rob was very informative and helpful during the estimating process, and his crew did an excellent job. Highly recommended! STB Painting Co painted my 3 floor condo and did a fantastic job with the walls and trim. They finished in two days as Rob and Marco discussed. Giovanni, the paint crew lead was very informative and made some on the spot decisions that made the paint job awesome. I'm very late providing a review for this company, but we've been living with the paint job and woodwork for about a year now, and we wanted to wait and see how the work would hold up. Rob came out and provided us with what we thought was a fair and reasonable quote. Not only did we have our home painted, but we also had quite a few other jobs thrown in, including a new fireplace mantle, crown molding and lovely chair rails in our dining area. The team came out at the agreed upon time, and finished earlier than expected. They covered all of our furniture, provided all materials and did a great job with the woodwork. The paint is a great quality, and we haven't noticed any peeling, flaking, and has camouflaged various nail pops in walls that often come with new construction. The woodwork is beautiful, and our crown molding has held up well over the past year as our house has settled. We thought we would need some touch up work by now, but it's still looking as good as the day it was installed. I am very satisfied with the work that was done, and it was worth every penny. We will definitely use STB again, they truly helped make our bland and cookie cutter house into a real home with character. Had a great experience with Rob and his team. We bought a new house, it needed some work before we moved in. I provided Rob with a pretty tight timeline in when we needed the work done and he was able to accommodate our schedule. Crew showed up the day he said they would and finished work the day they said they would. The estimate he provided in our initial in-person meeting was adhered to and was a fair price. After we moved all of our household goods, I gave him a call to see if he could do touch up on walls that had been scratched. He had people over within the week that I reached out to him and they did a fantastic job. Really great experience! STB did an excellent job painting the interior of my home. Rob was very flexible and worked around our schedule for both the estimation and actual dates for painting. Everyone was professional and the job was completed correctly within the estimated time given to us. I can honestly say our house looks great. Wouldn't hesitate to use STB for future painting needs. I am super impressed with the job that STB did for me. I had Rob over to give me an estimate on repainting all the interior walls of my new house. He worked out the estimate and even gave me advice on a couple of tangential things I was considering whether to have repainted (like the staircase railings). He estimated the job at 1.5 days and was able to fit me into their schedule quickly. STB uses Sherwin Williams paint and I had selected Behr and Gilmore colors, but Rob was able to perfectly match my choices from a database of color matches that STB keeps. The STB crew showed up promptly when Rob said they would, and were done within an hour of their estimated finish time on day 2. Most importantly, the work was superb: both the repair of dents and gouges in the drywall, and the painting itself. When I arrived near the end to do the final walkthrough, Rob was already there, doing a PRE-walkthrough. He spotted every imperfection and showed it to his foreman, and by the time the crew finished going back over the house I couldn't find a single thing to complain about. (Even my mother, who is a notorious perfectionist when it comes to painting, couldn't spot any flaws.) I will definitely call on STB again when I need another paint job done. 'Simply the Best' are the words that describe the company perfectly. The quality and integrity shown by this company are just what you want when hiring someone to do work in your home. In the past, I hired a different painting company that charged me a lot of money for work that was very disappointing. I browsed the internet looking for a new painting company when I came across Yelps reviews about STB. I gave them a call and I am so glad that I did. From the beginning to the end, all I can say is, "WOW"! So, this is what it is supposed to be like. STB is professional, the pricing was great (especially compared to the other company) and the work by the crew - EXCELLENT. This company is a keeper. STB did a great job. Replaced several rotten trim boards, painted the exterior and even replaced the corroded screens around the back porch. The first day it rained, so they worked extra hours the next three days to stay on schedule. I'm very happy. 5 Stars is an understatement. We were doing some remodeling in our office and it was tough to find commercial painters who seemed reasonable with pricing and exhibited great customer service. I submitted a request for a quote on Yelp on a Friday thinking I would receive answers on Monday. Low and behold, Rob responded within minutes. Rob understood my urgency and was honest with how he typically handles commercial jobs. After our walk-through that following Monday, Rob put together a proposal and did not come off pushy at all. My company had about 5 different proposals to review, and we took the chance with STB knowing that they typically did residential work. WE MADE THE RIGHT DECISION. Once Rob, Jorge, and his team came in they were respectful, timely, and did a fantastic job. They were painting while my company was in the office working, and we could barely notice they were there. At the end of the job, they didn't just pick up the check and leave. They made sure we were happy with the job, and after about 2-3 times walking through the office and pointing menial spots out here and there they were done. I would recommend STB to anyone needing painters in Residential, or Commerical work. I'm sure we will be back. Thanks STB! Rob and his crews are "the best". STB has done two projects for us and each time the experience was excellent. Very professional and qualified painters, spent the time to properly prep areas for painting so the finish product was beautiful. Quick response to call, detailed estimate and scope of work clearly spelled out, ontime to do the job and finished within the time stated. We have recommended them to friends and relatives. Rob always called after completion to make sure we were satisfied. Bottom line: we would recommend STB for painting, and would not hesitate to use this company again in the future. The details: We recently had the entire interior of our home painted by STB. We were moving from out of town and were only available for a 24 hour visit to do a consultation. Rob was incredibly flexible and accommodating, and met us during that short time period to give us a quote despite the fact that the had to come all the way from Maryland. The thing that struck me the most during our initial interaction was his obvious experience; as we walked through the home, his ability to assess the project without taking detailed measurements was indicative of his expertise. He was thorough and professional; moreover, his quoted price was competitive and his team had availability to complete most of the project prior to us moving in (it was quoted as a 3-day job, to start on Monday, and we were planning to arrive late Tuesday evening). We received a call on Wednesday that the painters were available to start Friday instead of Monday, which meant that the job should have been finished prior to our move in. We received some text messages and photos from Jorge, the project manager, on Friday evening after they had started. We were really impressed with his thoughtfulness, especially given my anxiety at choosing paint colors from afar. It was reassuring to see that the house's transformation was going well! We did not receive any additional messages from Jorge, so assumed that the job would be complete when we arrived late Tuesday evening. However, we walked in to a disaster zone: the entire house was draped in plastic and drop cloths, which was good in that it showed the guys were being thorough but was also discouraging because 1) it was 2 am and we were tired after a long day of dealing with movers, and 2) we were under the impression that the job would be finished. Instead, only the upstairs bedroom walls and living room walls had been painted, and the kitchen was primed. Needless to say, there was a LOT left to do. What was originally quoted as a 3 day job turned into a week-long process. We were told after the fact that the preparation had taken more time than expected, but it just would have been nice to have some heads-up before stumbling into a mess. As we are living in the house we are starting to notice that maybe some things were not done 100%. Blinds were not reattached properly; there are streaks of eggshell paint on the ceilings rather than the flat paint (same color, just different finish), which makes the ceilings look like they have stripes at night when the overhead lights are on; some receptacle covers are not attached or are missing screws; the crew left food containers and drinks and shirts scattered around the house. By the end, though, they were ready to be done with this job and we were ready to be able to actually go in and use our house, so we decided to overlook some of these minor things and we'll just address them ourselves later. Summary: Overall, we are happy with the job - the painting was well done with an eye for detail on the trim. All things considered, the hiccups were minor and we are happy with the service we received and the work that was done. Though it took longer than expected, these guys were the first stop in helping to make our new house feel like our home! We will definitely consider them highly for any future painting or contracting services that we may require 🙂 Thank you, STB! I'm very pleased with STB painting and will use them again. They were timely, courteous and most importantly did a good job. They did excellent on drywall wall repair. However repair of stucco style ceiling was mediocre but that was very small part of the job. Thank you STB! Working with STB was a really good experience which I would recommend. We had our siding power-washed, outdoor front door/shutters/trim painted, and had our deck power-washed and stained. Rob was very quick to get back to me, both for scheduling the initial estimate, as well as for any questions that came up along the way. At my request, he made suggestions (color, materials, etc.) which turned out well. I got a good feeling from meeting him and he had a competitive price. He also was able to complete the work fast which is something that I was looking for. I was easily able to communicate with the crew that came to do the work (to confirm their notes from Rob), and everything got done pretty smoothly. There were really only two minor issues: 1. The crew showed up an hour late on the first day. This didn't matter much since the work was outside and they completed everything in the estimated time. 2. They missed staining one spot of the deck. Rob was quick to check on if I was happy with the job and when I pointed this out, he sent the crew back the next day to fix it. This was one of the best experiences that I have had with this type of work. I really got the impression that Rob cared about making sure his customers are happy and will return to him for more work in the future. Thanks. STB did a great job painting my new home. STB has done work for me on multiple occasions and all have been great. Always on time, and on budget. They've gone the extra mile without asking. STB Painting Company did a fantastic job! The experience was A++ from beginning to end. My house needed some work, replacing old, dead wood on the roof and front of the residence. At our initial meeting, I found Robert to be knowledgeable, professional and on top of things and immediately gave me the feeling that the work would be in good hands. He provided a quote, pointed out a few areas that needed some work (in addition to my requirements) and got me setup for an appointment. The STB crew that worked on my house was just awesome. They arrived on time, talked to me about what they were going to be working on and got to work. When I came home later in the day, I was very very pleased with the work they'd done. Everything turned out great and even exceeded my expectations. I had a lot of work to be done and they finished it all in one day, with fantastic results. This is the company to call and hire. Five stars!!! From the start to finish, a great experience. Robert got back to me the fastest in the request for a quote and scheduled a time to come and give me an estimate. It was the lowest and decided to go for it. Today his crew led by Douglas and two others painted our 1000 sq ft condo in one day! Amazing job and cleaned up after they left. I'd recommend STB and I'll definitely look to hire them for future painting needs! STB Painting Company you are AWESOME, OUTSTANDING, SUPERIOR and HIGHLY PROFESSIONAL There are not enough word to express the magnificent artistry work that you did to my home. Rob and his professional team transformed my home into a beautiful masterpiece. The process was smooth sailing from the beginning to the finish of the project. Absolutely No disappointments. If you are looking for honesty, Integrity, and fabulous results, then STB is the #1 choice. I RATE THEM 100%. Thank you!!!!! These guys are very, very good. I was impressed from the beginning when I met the owner who scoped out the work and sat with me to go over the estimate. I could tell that his estimate was real, not just whipped up out of his head. No back of the napkin here. It was detailed enough that I could see where the costs came from. I was also impressed about the options that were given from the beginning. THIS IS KEY. For example we reviewed the ceilings that were to be painted. The seems were showing. The bedroom has a very large ceiling and I was asked, "Do you want us to do a very very good job or do you want us to do a job that is basically laser perfect? We can do it either way. We just need to know because if you want absolute perfection that takes longer and I have to plan for it. Of course with the more labor it will cost more." Brilliant! I wish all companies would take the time to offer choices. I opted for the very very good job. It looks great. It's just as he said. To me, significantly more money to go from very very good to perfect wasn't worth it. The paint team was polite, professional and very talented. They didn't tape a single thing. I was worried about that at first until I saw how skilled they were when laying down the lines. Superb job. After they finished I noticed one or two things that they had missed. I simply called them up and they sent out a guy who did the last little bit. He did it with a smile. Clearly this type of thing can happen. There were a lot of moving parts. They have a great way to handle it - simply come out, do whatever needs to be done and everybody is happy. Before STB came in, I had a contractor add chair rail, crown molding, etc. I did that before I found STB. Based on how good their painting work was, I would have selected them to do the trim carpentry as well. Bottom line is this. This is the company you want to use for your painting. My husband and I are very pleased with STB. Rob responded immediately to my request for an estimate. We were so impressed with him that any further searches were unnecessary. Rob communicated with us every step of the way by phone, text or email. Douglas and his crew showed up on time and worked very hard , skillfully preparing and painting three bedrooms, hall and staircase and kitchen. Much prep and priming was needed on the old walls. Our 1950s Cape Cod sparkles now inside thanks to Rob and crew! Highly recommend STB! I was a little skeptical at first because it is my nature to be very particular about prep and cleanup. Rob and his painters did an excellent job. Their prep work (cleaning, sanding, and caulking) was great and they protected everything with tarps and plastic. The paint job looks great and they cleaned up really well. I couldn't be happier with the work and will recommend them to my friends and neighbors without any hesitation. I had a great experience with Rob and his crew when painting my 1 bedroom in DC. Rob responded to my quote very quickly and kept being very responsive by phone or email each time I had a question or request throughout the process. His crew (Jorge, Giovanni and others) showed up on time (even earlier than on time), did a great job painting what I have requested and left the place very clean. All this, while I was at work so could not ask for a easier and better process. I would completely recommend him and his crew for any painting jobs you need. Rob responded very quickly to my request for an estimate last October and gave me his quote the very same night. He said he could start work the next week if I wanted and I picked out my Benjamin Moore color and signed the contract. His team was professional and did an excellent job. They fixed a few minor things that my husband pointed out and finished in the estimated timeframe. I was extremely happy with the job they did and would highly recommend STB Painting Company. STB painting did an excellent job stripping the wallpaper in our living and dining room. and then painting the rooms. They were punctual, polite, professional, and efficient. They cleaned up and left the space perfect. We were pleased with both the price and the product. From initial contact to getting a quote to having the work done, STB was amazing. They repaired a large section of (ceiling) drywall and then painted our sunroom, kitchen and dining room ceiling as well as the stairwell. It's perfect. We have dealt with a lot of contractors and Rob is by far the most responsive. I would recommend him to others and use his company again for future work. Rob was very easy to work with. He came in and gave a very thorough estimate and explained how his team normally works. Even though we decided to cut back quite a bit and not get all the rooms painted that we had originally planned and gotten the estimate for, Rob was still willing to do the job. And was able to fit us into the schedule rather quickly. The day of the job, the team came in and did a great job repairing a number of holes in the walls and getting the painting done in one day. They even helped hang several large, heavy items back up on the wall that we would not have easily been able to do ourselves. Extremely pleased with the work and will use STB again for any future painting needs! I would definitely recommend STB. They painted our brick fireplace and also repaired and painted the front exterior. They did an excellent job. From the initial contact with STB to the completion of the project, professionalism, courtesy and service were front and center! Rob and his team were great! We got quotes from multiple painters (some more expensive, some cheaper), but Rob seemed really on top of things, and we wanted someone reliable. He was really flexible (we ended up switching the dates - and switching a color last minute), and his crew were efficient and did great work. Will definitely use STB again! STB Painting was prompt and professional. Rob took the time to come out and look at the work that needed to be done on my townhouse. He explained everything to me in detail, so I understood exactly what I was paying for. When I had questions he was reachable and able to provide me with the information I needed. His crew did great work and were careful to clean up when they were done. I highly recommend STB painting. Found Rob and his STB team to be very professional and highly skilled. Working with contractors can be a challenge but Rob took a lot of my concerns off the table. With his offer of a two year warranty on all work performed with competitive pricing made STB easy to do business with. My wife and I are first time homebuyers and were looking through options for interior painting. We got quotes from four different companies, and opted for STB. Rob came out on a Saturday and provided an on-the-spot estimate, and his team completed the work in a single day, with impressive results. I would definitely recommend STB and we plan on using them again in the future for painting needs. It's hard being a landlord when you are across the country. When looking for a quality painter, it was a miracle to find Rob and his team. The STB Painting Company did a stellar job. Their service was very thorough and prompt. Rob was very helpful with communicating with me. If I ever need another service done I will be glad to ask have him again. I was very happy with STB!! I worked with the owner, Rob, who coordinated a crew who came out to strip wallpaper and paint a bathroom and paint a large bedroom for my townhouse. Rob came out to estimate and told me exactly what I needed. He was friendly and easy to work with. On the day of the job, Rob came out to get the crew started right. He checked in throughout the day, gave me updates, and sent pictures and videos since I am a remote landlord and couldn't see the work myself. I was impressed with Rob, his crew, and the overall job done. I will definitely be using them again! We used STB to paint the outside of our wooden house. Competitive prices, professional employees, and we're very happy with the result. I'd definitely recommend them. I'm very happy with STB Painting. We needed a water-damaged ceiling repainted and Robert responded to my email inquiry in just a few hours--on a weekend, even. He gave me a rough idea of the cost before coming over to do a written estimate. Based on other painting I've had done, the price was fair. He was knowledgeable and no-pressure, and we ended up having STB paint some interior rooms and exterior shutters as well. The crew arrived on time and left a clean, professional result -- including sanding and patching where necessary. No trace of the water damage and the walls and shutters look great. Robert stopped in about halfway through the job to check up and called as soon as the crew was finished to make sure we were happy. I plan on using STB again. Great job by Rob and his team. Outstanding work done in interior painting in my house. Good stuff! Rob and his team are thorough, professional and the best painters we have used over many contracts in both our commercial and residential dealings. After seeing their attention to detail, crisp trim lines and amazing finished product, I would bring them back for any job I need. They turned a drab, poorly painted home into a beautiful place we can call home. Rob was very attentive and easy to work with. He did a great walkthrough estimate with no hidden charges. The final post job walkthrough was equally thorough. I would recommend him to anyone who wants to feel taken care of with amazing results. Such a relief to find a company that delivers exactly what it promises and more. I had several estimates from four different companies regarding the repair and painting of the exterior trim and porch on my house. Rob from STB was impressive, explaining ,in detail, all aspects of the job and the expected costs for each section. His estimate was substantially less than any of my other estimates and he could start the very next week. His team arrived exactly on time on the day scheduled, put in two full days of work and finished earlier than expected. George and his crew were professional, courteous, hard working and a pleasure. They cleaned up each day before they left and even respected my request to please not knock on my door ( my dog goes crazy) & call me on my cell even though I was home all day. Could not have been happier with my choice to do this work! Will definitely use them again in the near future to paint the interior of my house. Rob was a pleasure to work with. He and his team were very accommodating to our work schedules--Rob met us in the late evening to provide an estimate, and his team was able to come at 6:30 AM to start the job. His team did an excellent job and were very quick. His prices were very fair and we were highly pleased. Great company to work with. Originally, I only needed a small-ish section of plaster in my ceiling repaired after a leak caused some damage. Ended up getting an interior ceiling repaired/painted, an interior wall painted, exterior trim, front door, and awning painted (stuff I was planning to do anyway) for just a little more than it would have cost solely for the plaster repair. Pricing was reasonable and fair, and the work and clean-up was done quickly and professionally. They even removed a squirrel nest from between my ceiling rafters! Robert was attentive and responsive - replying to emails the same day when I had questions, even in the evenings. Neighbors have also complimented the exterior paint job and door. I recommend this company and would definitely use them again. STB did a fantastic job painting our two story foyer and connecting hallways. They were diligent and thorough. The final product was professional looking, as expected. I would absolutely recommend them to anyone seeking professional painting services. Rob and his team were excellent. They finished painting our kitchen cabinets, installing dry wall, and painting four rooms all in the course of 4 days! When we described some other issues we had in the house, they were also ready with a list of references and were able to install recessed lighting themselves to brighten our basement. Rob was also really prompt in responding to any of our questions - he even texted us back an answer at midnight! Couldn't be happier with the customer service and quality of the work. Great work and very professional team. They did drywall and paint work in my condo. Definitely recommend. Was having problems renting my house. A friend recommended that I call STB (Simply The Best) Painting Company and spruce up the paint job to give the exterior a more appealing view. She had just used them to paint her new house. Rob quickly met me at the house to provide a free estimate. He assured the guys could have it all done within 3 days. He even offered to help gain approval with my HOA. When I went to walk through the house, I was amazed at what a great job they had done including the deck and privacy fence. If only the best will do, give "Simply The Best" a call. You won't be sorry. I am very pleased with their service! it was fast and well done! reasonable price! friendly crew. Will do business with them again! Thank you for the quick services! Rob killed it .... Came in on Tuesday gave me a great quote! Called me back that evening and said his guys would be out on Wednesday. Painted the huge ceiling at 20 ft up and fixed a couple of holes in the dry wall. Will be handling my painting from now on!!!!!!!!!!!!!!!!!!!!!!!!!!!!!!! Rob & crew did a great job painting the exterior of my mother's townhome and also pressure washed and stained/seal the two level rear deck. It was reassuring to know he had our best interest at hand although he could have just fix the cosmetic issues to satisfy the HOA he suggested repairs that would benefit us in the long run. The crew was on time, professional, courteous, quality work and cleaned up after themselves. I will be sure to recommend Rob to all of our neighborhood. My mother raved about her experience from start to finish as a very pleasent one! We will be sure to use them in the future. Thank you Rob the house looks fantastic. After a roof leak in our rental home in Baltimore City, we had Simply the Best come out and insulate, put up a new drywall ceiling and paint. Rob was easy to contact and stayed in touch throughout the whole process. Living a few hours away, we needed someone who we could count on, trust to do the job right and who would work with our renters. Simply the Best went above and beyond to ensure we were satisfied. Getting the job done was effortless and easy. And they are reasonably priced...we had another company quote 2 1/2 times higher. We will definitely be using Simply the Best for our future projects and have already recommended them to family in the area. Rob and his crew did a great job on our house. His crew was nice and professional. We were so happy we've referred them to a couple family members and a few clients of mine. Rob and his crew did a great job painting the first and second floors of a home we recently purchased. It was a quick job and they even worked overtime one day to complete the project in a timely manner. They were professional, cleaned up after themselves, and made sure that I was happy with the job before leaving. Rob even recommended other services and gave referrals that he thought we might find helpful. STB Painting did a terrific job painting walls, ceilings, trim- everything. It took less than 2 weeks from the time I decided to hire painters to the job being scheduled and completed. They did a lot of prep and the price was very reasonable. I'd definitely recommend STB! My husband and I repeatedly had Rob, and his guys, paint both the inside and the outside of our home. Even though we now live in Texas, we still refer him to many of our friends and family that still live in Maryland. Not only does he do good quality work, he is also someone I have grown to completely trust. I would definitely recommend him, and his company, to anyone that is in need of his services. STB did a wonderful job on all of our exterior painting. They finished the job in one day- as promised. Will definitely use them again! Robert and his STB team are a great example of how a customer services should be. Robert communication is right on and fast. The paint job quality is great. Their price quote beat all the competition. There was no mess after the team left. 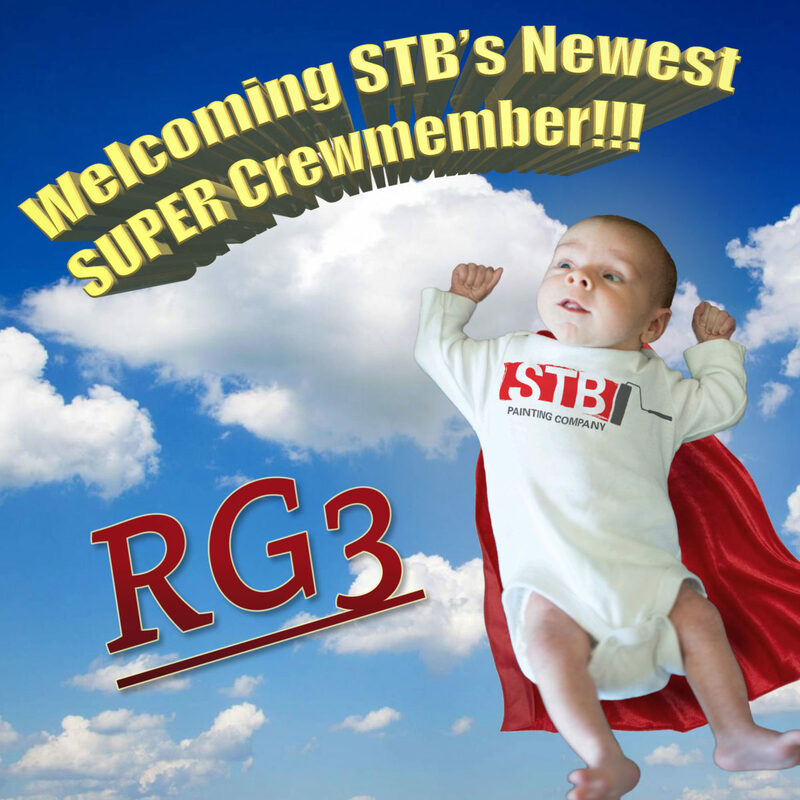 I'm very happy with STB and definitely looking forward to work with Robert and his team again. Fast courteous service, high quality materials, excellent attention to detail, very thorough clean up! They were very detailed in describing the items, the work to be done and the associated costs in the estimation they gave me. They came and finished the work in time as planned. I am very pleased with the quality of work they have done and I won’t hesitate to call the Best Painting Company next time! Well, I can say STB painting is punctual, neat, hardworking and has good follow through. Taking shoes off when coming into the house is a huge plus! Rob is great to deal with, and very focused on achieving customer satisfaction. I recently had the pleasure of hiring STB to do the interior and exterior painting. The work, attention to detail, and professional demeanor were beyond anything I've seen before. When you need to have something (house, etc) painted: call STB! I have been pleased and amazed with the work they have done. Great service and quality of work! I would recommend to anyone! STB did outstanding work for us. They were careful throughout. I recommend them without hesitation.